I PURCHASED THIS VEHICLE ON JULY 23, 2018, WITH ABOUT 123,000 MILES ON IT. IT WAS RUNNING FINE FOR A FEW MONTHS. ON THE FAITHFUL DAY OF MARCH 6, 2019, I GOT IN MY CAR FOR WORK. I DROVE ABOUT 500 FEET TO A NEARBY INTERSECTION WITH ALL-WAY STOP SIGNS. I STOPPED THE CAR AT THE SIGN. I RELEASED MY FOOT OFF THE BRAKE TO GIVE IT SOME GAS FOR MY TURN AND THE CAR WOULDN'T MOVE FORWARD OR REVERSE. IT MAKES A VERY LOUD CLUNKY SOUND WHEN IN PARK. HAD TO PUT IT IN NEUTRAL AND PUSH IT FOR ABOUT 200 FEET TO PARK IT SAFELY ON THE STREET. SUCH A VERY HORRIBLE EXPERIENCE. ASKED A LOT OF PEOPLE AT WORK AND I WAS TOLD IT WAS A TRANSMISSION FAILURE. THE CAR ONLY LASTED ME ABOUT 7 MONTHS. I THOUGHT HONDAS WERE RELIABLE. NEVER GONNA BUY A HONDA AGAIN. GOING BACK TO TOYOTA. Just left the Park and Ride and was on the highway about 40mph. Big noise, car started sliding/drifting. Lucky to steer on left shoulder and it stopped. Luckily just got saved since 52 footer was behind me would have blown me off. Smoke came out, stopped the car and came out immediately. What I see front driver side wheel broke from axle and just below the car. 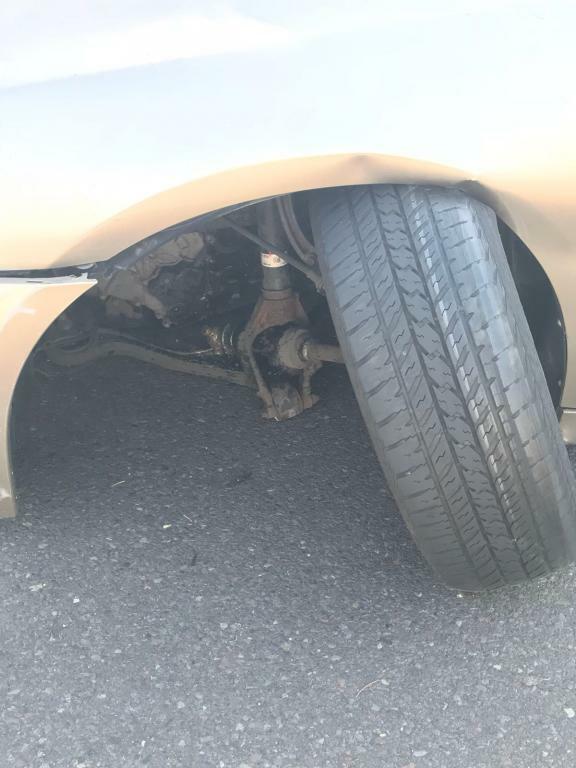 Called the towing, driver says had never seen this type of crash or failure in his life. I was shaking and he says lucky nothing happen to you. Other tow guy stops and says how about I pay you $200 for the car. I said I am not in the mood to sell, I want to go home safe. I made up the mind its worth to donate it since it will be not used my anybody by repairing it, might sell parts. There was a weird smell coming through the air vents of the car. Upon noticing it, looking at the tachometer, the car was driving at around 75 mph near the red-line. We pulled over and there was transmission fluid all over the road. We limped the car to the nearest mechanic and left it for about a week. 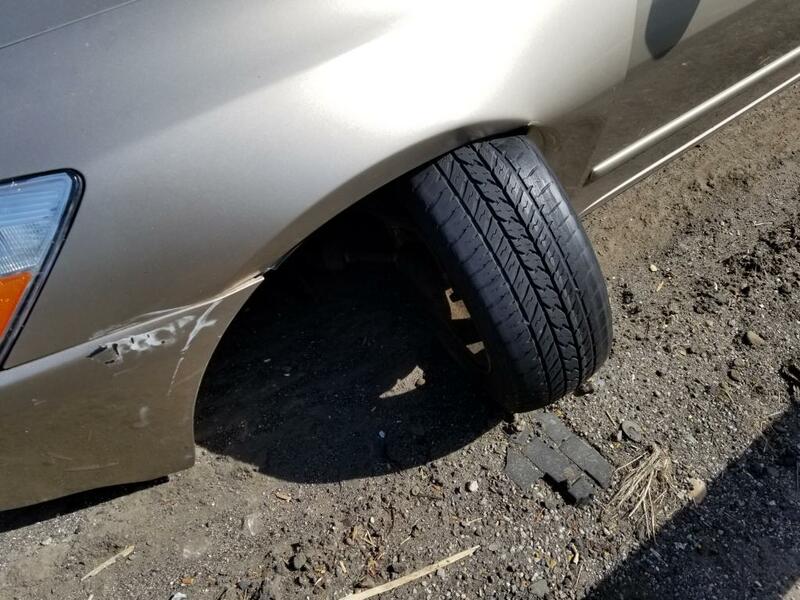 CarMax warranty paid entirely for the fix of what otherwise would have been a $1,500 repair. The cars previous transmission recall was temporarily fixed in 2004 with a jet kit at less than 15,000 miles. I do not think the dealership will give me another recall although they should because they knew their product is faulty!!!!!!!! I will find out the diagnosis next week. I am prepared to have to pay for the diagnostic and for half/all of the transmission repair. I wish they honored the transmission recall!!!!!!!!!!!!!!!! HONDAS ARE SUPPOSE TO LAST FOREVER??!?!??!!!! MAJOR PROBLEMS AT 95,000 miles????!!! My car is a 2003, the car has some heavy mileage and its up in years so I understand this could happen. I saw that in 2009 there were complaints about the transmission. I will fix the car cause its cheaper than buying a new one. Overall the body is very clean, leather seats are good condition and I LOVE my car. After all it's man made!! Transmission started making slight noises over the past four years - especially during times of winter. The noises gradually progressed fro soft whirling sounds to a loud sound that sounded like a mix between a machine gun being fired and a beached whale. I'm original owner of 2003 coupe, and like most of you, when we received recall, we took it in to have it fixed. Now with 153000 miles, transmission has failed, and even though this is the only trouble we've had with the car, it's disappointing that Honda knows there's a problem but won't fix it correctly. Called local Honda dealership, and they say Honda won't help fix it, but they hear/see the problem all the time with this year Hondas. We tried calling Honda customer service anyway, and as expected, they were very rude, said it was taken care of in 2004 and not under warranty now. If class action lawsuit is started, we'd be happy to be involved. I saw online about several class action lawsuits against Honda, but not one for this particular issue yet. Sorry but after this 2003 Honda Accord EXL ( yes FULLY LOADED ) blew the transmission today, I will not buy another Honda. It is sad day, like losing a friend. Particularly, since we have three Hondas in the family. Survirors include a 2002 Accord and a 2003 CRV. The 02 Accord and 03 CRV each have over 200,000 miles on them and have had no serious problems including a rock solid original engine and transmission. For a Honda transmission to 'self destruct' with only 110,000 miles is a problem. We pay more for Honda quality and expect more from Honda. In my case, I ignored the 2003 Honda complaints thinking it was a fluke, which is a bad mistake that I hope you will not make. And sadly, you can not trust Hondas to the point where you pay more for a Honda than any of the other brand. So the morale of the story is that 'you' must add Honda to the list of vendors that you MUST use a 'buyer beware' approach. Do your homework, delay the purchase and shop around. My 2003 Honda Accord EX V6 has 110K miles on it. I was driving on HWY 280 and it felt as if I had slammed on the breaks and or downshifted to first from 4th. Car jerked twice. I immediately got off the freeway and the car's service light came on and the D light was flashing. The service manager at Stevens Creek Honda called me and said there was never an issue or a recall with the transmission in these cars. Really? It is all over the internet. I told him that I had spoken with American Honda directly and that he needed to do the diagnostic and contact them. 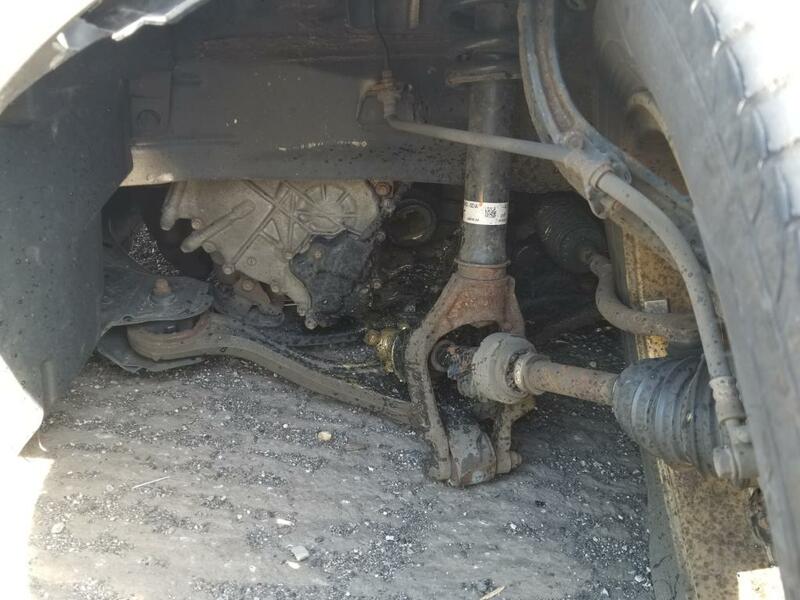 He agreed, yesterday the Service Manager called me and said that the Torque converter was burned out and that the transmission fluid was burn and had particles in it, indicating that the transmission would need to be replaced. 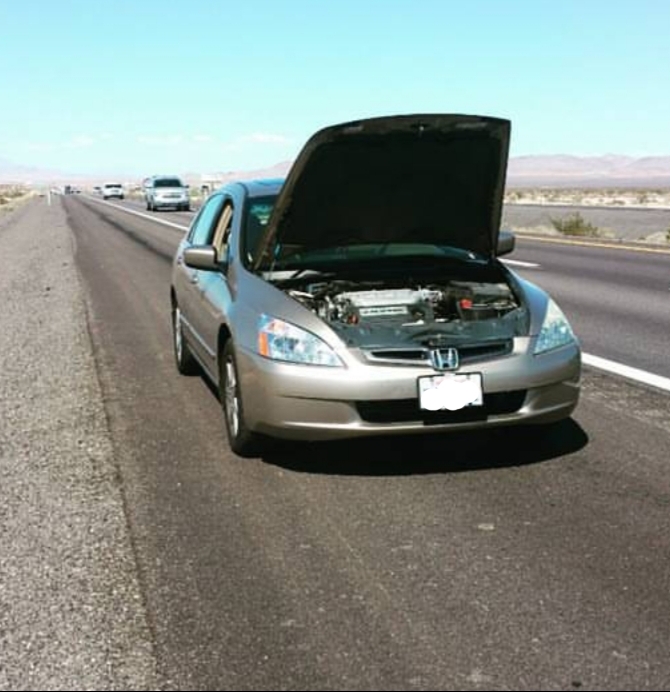 He also stated that American Honda said they would not help with the repairs. But he would be happy to get me a quote on getting it replaced. I immediately called Honda again who told me they would have a case manager review and get back to me in a few days I also confirmed that my car had a new jet kit installed which in any one of these cases did not ultimately fix the issue. I also spoke with a local transmission shop who told me that the only REAL way to fix the issue is to rebuild the transmission with aftermarket parts to fix the filter issue. 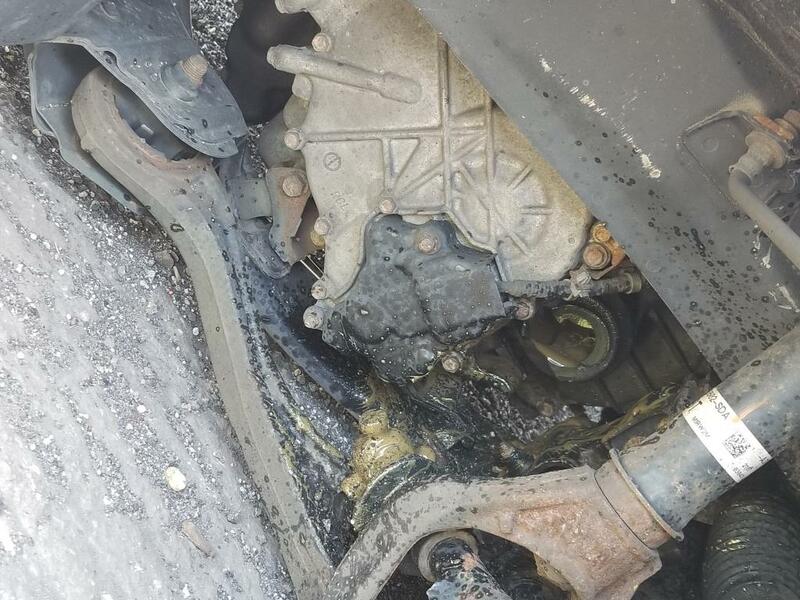 A case manager at Honda called me today and said that they would not take care of this issue as it is not related to the transmission failure. Really? Also, she stated that the car was too old. So apparently Honda only expects their cars to last to 110k miles. Here I thought Hondas were supposed to be reliable and long lasting guess not. Next time I will buy a Chevy. I cannot believe that Honda would not get this taken care of. Just another corporation trying to take advantage of people! The issues my car are experiencing are exactly the same as the recall. I am planning on taking them to court for their negligence and unwillingness to help fix their problem. I will keep everyone updated. If anyone has any information on getting Honda to pay, please let me know. Thank you. Transmission failed. Car completely died. Cost a fortune to replace. Same 2nd gear problem everyone else had, slipping/flaring shifting into and out of 2nd gear. Luckily it failed slowly, nothing catastrophic. Original owner, so I had the recall inspection/installation of the new oil jet done on time. Maybe that delayed things a bit, helped it fail later, at 96k miles. I brought it back to the original dealer's service department and they knocked 1k off of a 5k rebuilt transmission (back in 2012). Only 4 grand?!?! Thanks Honda! About $500 more than a local shop wanted to charge to rebuild it, but it came with a 3 year warranty vs 2 year, so what the hell. Warranty just expired after 3 years, and I have another 24k miles on it, so I need to trade in this POS now! I would normally sell to a third party for more money, but what a moral dilemma. Drop this POS on another unsuspecting soul and hope they forget where I live or trade it in for less money to a dealer, then that person at least has a limited warranty. This along with all of the weird electrical problems this car had makes me never want to buy a Honda again. Very disappointed and disgusted with Honda and their dealers. Second transmission failure in this POS! No signs of failure except that it's cold outside and the wind is blowing south. My wife and I bought the car from Radley Acura in Falls Church VA 22041 thinking that a dealer would be trust worthy with their cars. Only to find out that they did not mention this car had transmissions recall problems. All we want from them is to make us whole on this recall. I love my Honda and it breaks my heart and really makes me hate Honda that they wont fix the problem cause its obviously a defect. I called Honda and complained and got no where, I'm disabled and live off social security and cant afford to fix my car and it stinks I cant go no where and I need my car. I should of never bought a Honda but I thought they were such good cars, I guess I just got robbed. thanks Honda for nothing. Bought the car used. Drove it for a while and it felt great. Started to slowly notice that it would take a couple seconds for the car to actually shift into gear such as Drive or Reverse. Then one day it just completely failed on me. I was driving on a highway when the transmission started failing. After 10 minutes, the transmission started to fail completely and the engine light went off. It got so bad that the car felt like it was trying to rip itself apart. I had to pull off into a parking lot and leave the car there. I really wish I had known that this car is ranked #2 Worst Car on here before purchasing it. The fact that I have seen numerous complaints on Honda's Twitter feed and Facebook wall tells me that there should've been a recall by now. I assumed since I was buying a Honda that I was buying the reliability it was known for as well but I guess I was wrong in this case. The cost to repair is of course ridiculously high so I can't have it repaired. Instead I'm sitting at home stewing in my own filth drowning in sorrow as girls roll past me laughing at my poor decision of buying a 2003 Honda Accord. Finally took the car to a mechanics to get the transmission rebuilt vs having it swapped for another faulty Honda Accord transmission. The cost was pretty high at $2,832 but so far it seems to have been worth it. Will continue to update should any other problems arise but everything seems great so far. Bought 03 Honda Accord from Carmax with 82,000 miles at first it was fine. Then about 60 days later it started to show signs of slipping transmission. I called Carmax. I'm out of warranty time so they couldn't do anything. I thought maybe I'm losing it and took it to get a service. It starts working fine again. Then I hit about 98,000 miles and again, I go get a transmission service and that's when everything went down hill. It started to slip every chance it could between 2nd and 3rd gear. Thought maybe they put the wrong fluid in. they didn't. I call around and these transmissions have had issues since the car was made. I call Honda of America and they act like they can't do anything. I have only had this car for a year and this is ridiculous. It's sitting a parking spot because it can't be moved. I submitted claims but have to wait to see if it will be covered. I'm fed up with speaking to people and complaining at this point I just want to call my lawyer and have them deal with it because Carmax knew this was an issue when they sold me the car this doesn't happen over night or even in a year. Second failure of transmission happened today. I wish that I had avoided this model. The transmission on my Accord failed once at 90,000 miles and then the rebuilt transmission failed today at 150,000 miles. I think I'm done polishing this turd. In addition to a failed transmission, I also had a failed AC system, a weird engine/computer problem that still nobody can figure out, a radio problem that drains the car's battery at night, and several other more minor problems. All of these major problems are very common and well documented on the internet, and well known by repair shops. I bought the car brand new for about $20K years ago, and the above-mentioned failures together cost me about another $10K. 2003 was a new model year for Honda Accord. I understand cars from new model years tend to have more problems. But what really pissed me off is that Honda knew of these problems (or they could have known if they care about their customers at all) and they never offered any remedies or recall. For any car company with the slightest care of their customers, they could have done a better job. Just look at the overwhelming number of complaints about 2003 Honda Accord on the internet or go talk to any transmission repair shop or car radio repair shop. I have a Toyota from the same year. It has run great with no major issues. They even recalled a dash board problem that is only cosmetic after 11 years. In contrast to my experience with Toyota, I feel completely cheated by Honda's reputation. Now my Accord has a weird engine/computer problem that nobody can fix (I have been to 6 different shops including Honda dealer), it's time for me to get a new car. I will absolutely never buy a Honda again. I never go on the internet to post anything. But thinking about my 12 years as a Honda owner, I am pissed off enough that I had to write this review. July 2003 my mother purchased 2003 Honda Accord with 157,000 kms (100,000 miles roughly). April 2012 she was driving when the transmission totally failed. She came to stop at a corner, then attempted to turn right. Attempted to accelerate and the car wouldn't even move, wouldn't go into any gear. 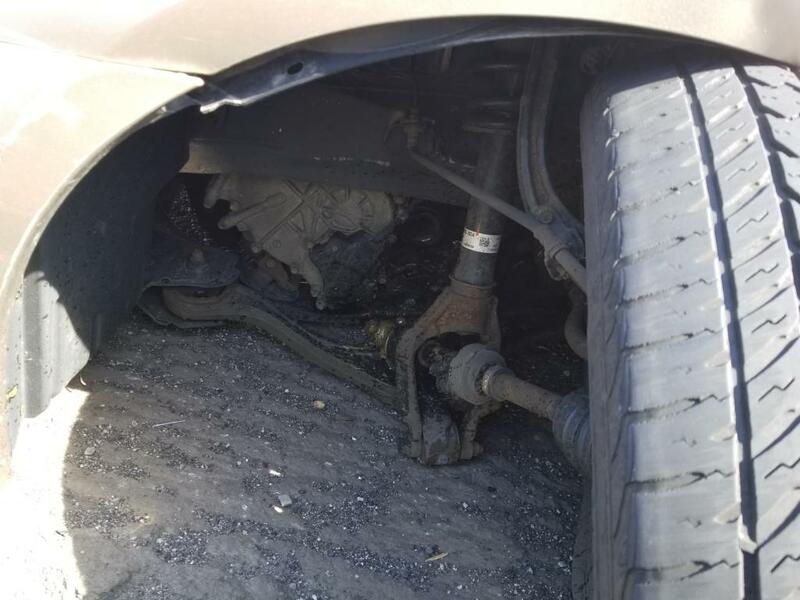 She had it towed back to the Honda dealer where she purchased the car, they wouldn't do anything for her and ended charging her $4,500 to have the transmission rebuilt at a 3rd party company, also changed fluid, water pump, timing belt. I purchased the car from her in July 2014, thinking the rebuilt transmission would be fine now, and that the original was just a lemon. Now the car has 217,000 kms (135,000 miles), 60,000 additional kms, and the transmission is slipping horribly and now honda says they need to replace the transmission again with a rebuilt one. I now realize by completing some research, that these transmissions are notorious for failing and I'm furious. We've had 3 different Honda's in the family and will most definitely be switching car companies next time. I'm cannot believe there hasn't been a recall on these transmissions, its insanity. I would happily join a class action Lawsuit against Honda.